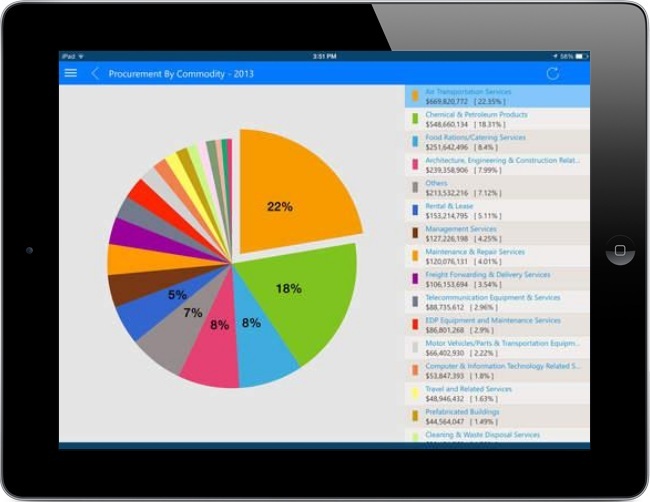 The "UN Procurement" App offers real-time access to information related to business opportunities, business seminars schedule and contract awards. The App allows vendors to conveniently share and transfer information within their organization, on-the-go, directly from their smart phones and tablets; users can also consult statistics such as procurement volume by major commodity or by country. • Event calendar including Business Opportunities, Seminars, Public Tender Openings, and official UNHQ Holidays. • POs and Contracts Monthly Awards data that can be filtered by year, month and commodity group. • Procurement Bulletins providing timely updates on a wide range of topics. • Comprehensive search functionality throughout the Application. 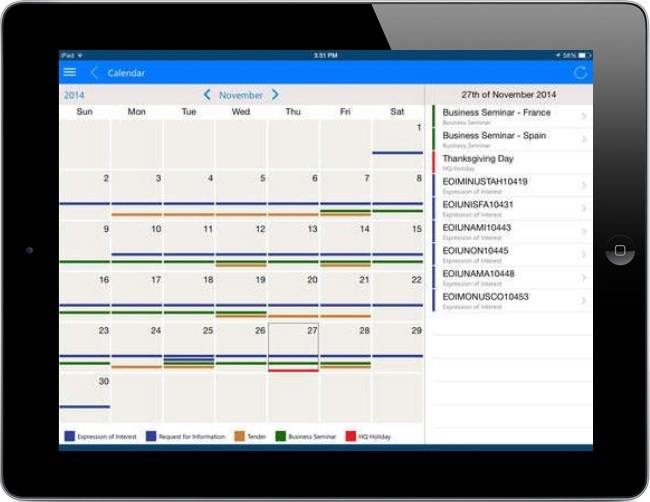 • Ability to easily share information and add events to your calendar. (*) Some features are only available for iOS. An update to the Android version is coming soon. Have questions or comments about our Mobile Apps? Please let us know by filling out this form!